“The Princess of Pop” exemplifies the never-say-die attitude and star power, Britney Spears. Credited to being inspiring by several famous music artists such as Adele, Lana Del Rey, Katy Perry, Nicki Minaj, and Demi Lovato, Spears began her career in the music industry as a highly successful teenage artist. Despite intense media attention on her personal life and problems, she made an impressive comeback after taking a break to raise her family and rehabilitate her life. 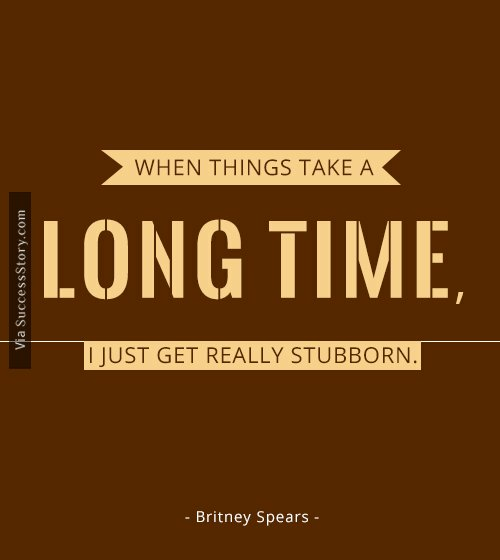 "When things take a long time, I just get really stubborn." "I don't like defining myself. I just am." 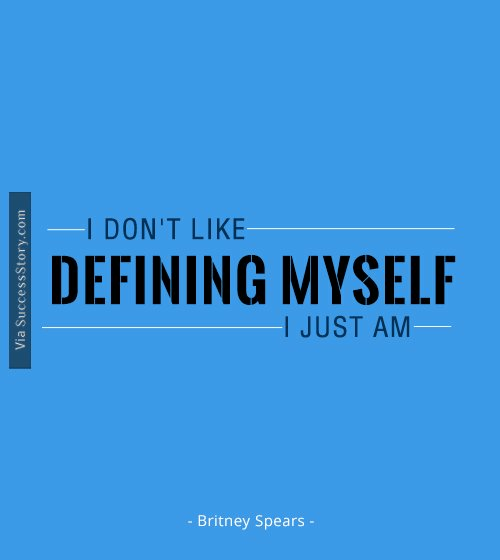 "I don't like defining myself. I just am." Spears is recognized for having brought back the teen pop culture during the late 1990s. Her numerous awards include a Star on the Hollywood Walk of Fame, 9 Billboard Music Awards, 6 MTV Video Music Awards that include the Lifetime Achievement Award and 1 Grammy award. Spears has ranked high on several best-selling lists – she was named the 8th overall Artist of the Decade by Billboard in 2009; Rolling Stone called her one of the Top 25 Teen Idol Breakout Moments of all time; the Recording Industry Association of America adjudged her the 8th top-selling female artist in the United States; and Nielsen SoundScan placed her as the 10th best-selling digital artist in America. Apart from making music, Spears has also made some television appearances. She served as a judge in The X Factor. In 2012, Forbes announced Spears to be the highest-paid female musician of the year.